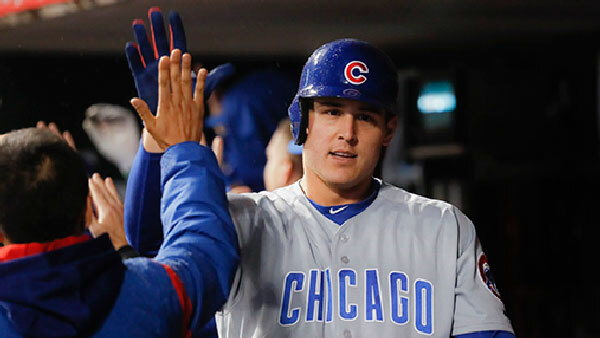 CHICAGO (WLS) -- Chicago Cubs first baseman Anthony Rizzo announced that he is engaged Thursday night. Rizzo posted a photo of himself and new fiance Emily Vakos on his Twitter just before 10 p.m.
"The Luckiest guy in the world! She said YES. Future Mr. & Mrs. Rizzo," he wrote as a caption. The photo shows the couple with Lake Michigan and the Chicago skyline at sunset in the background.